COME AGAIN cover debut + pre-orders! 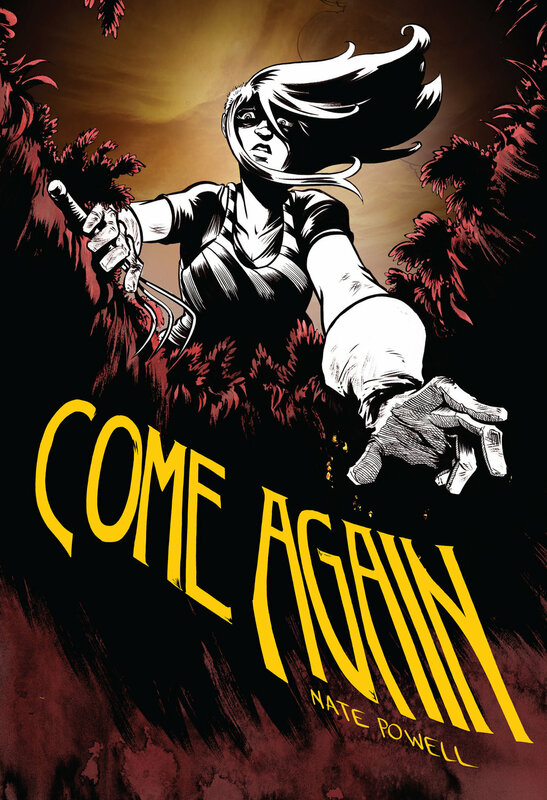 I'm proud to unveil the cover of my forthcoming graphic novel, Come Again-- it'll be released by Top Shelf/IDW in July, debuting at San Diego Comic Con! "As the sun sets on the 1970s, the spirit of the Love Generation still lingers among the aging hippies of one “intentional community” high in the Ozarks. But what’s missing? Under impossibly close scrutiny, two families wrestle with long-repressed secrets… while deep within those Arkansas hills, something monstrous stirs, ready to feast on village whispers. National Book Award winner Nate Powell returns with a haunting tale of intimacy, guilt, and collective amnesia." I'm taking direct pre-orders now-- all copies from me will be signed and sketched! Here's Top Shelf's listing for info and orders, and here's an Amazon pre-order link. Thanks for your support. This is absolutely my favorite book I've ever made, and I'm so eager for it to see the light of day.